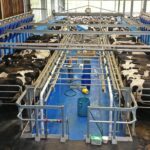 Fullwood Packo have been leading designers, manufacturers and suppliers of milking systems and milk storage equipment for more than 90 years. Fullwood Packo extensive range of conventional milking equipment provides the Smart Milking Solution for all commercially lactating animals. Fullwood Packo is constantly innovating and investing in research and development to find unique solutions, such as M2erlin, to support our farmers in fulfilling their goals. With 60 years’ experience of designing and manufacturing milk cooling tanks, batch and continuous pasteurizers, Fullwood Packo has an unrivalled heritage of producing cooling equipment for the dairy industry. Make the best possible decisions and maximize efficiency with our state-of-the-art herd management solutions. 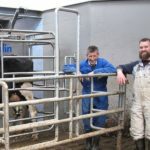 All essential aspects of dairy farm management are covered. If you’re looking for the very latest advance in automated milking technology, you need M²erlin. We’ve combined our years of experience with the very latest technology to create M²erlin and it is unparalleled when it comes to optimum productivity, milk quality and efficiency. 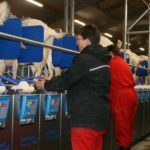 Fullwood Packo knows that purchasing new milking and cooling equipment is one of the most significant investments you will ever make. So we take the time to get to know your business – before we talk about the solutions we can offer. We understand the challenges dairy farmers face every day, so from efficiency and farm profitability, to animal and employee welfare, we are here to help. Our company has over 80 years’ experience of designing, manufacturing and supplying milking and cooling solutions globally, so your farm – and your future – are in safe hands. 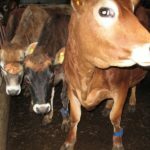 Fullwood Packo is supporting thousands of farmers around the world to produce high-quality dairy products from happy and healthy animals. Don’t just take our word for it, read how we have helped to transform their businesses. Visit our interactive map to find your nearest Fullwood Packo dealer.